We have traveled the world looking for the greatest dishes and finest ingredients to offer our customers; endeavoring to bring them the best Italian in Florida. Whether it’s from New York City to our homeland of Italy, we take pride in only importing the freshest products and ingredients for our culinary delights. Our sauces are made with San Marzano tomatoes imported from directly from Naples, Italy, and our pizza dough contains the age-old secret to making the best pizza – water imported from New York. Our signature Italian dishes are cooked to order by professional chefs and quickly become favorites of our guests. Each dish is created by hand and in-house by using traditional cooking methods practiced by Italians for countless generations. Our atmosphere is warm and friendly, yet elegant and refined. We believe in the traditional Italian dinner, where everyone comes together to feast. So we invite our guests to sit down, relax, and enjoy their food and conversation with family and friends. 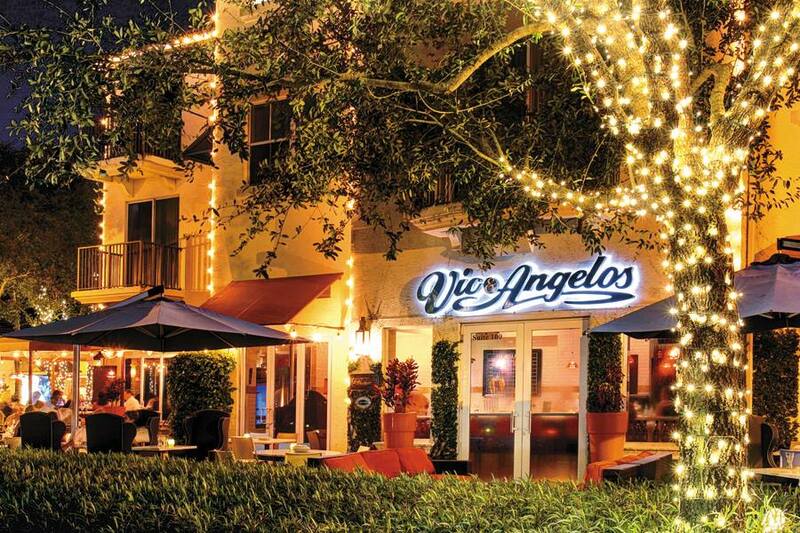 From our red Venetian chandeliers to our brick walls and mahogany floors, we offer our guests both the feeling of big city, as well as rustic Italian dining in the heart of South Florida.